The school district supports and encourages volunteerism in District 55 schools. Volunteers work in cooperation with the schools to help meet the needs of students and the school staff and to represent the community in fulfilling responsibilities to the schools beyond tax support. Volunteers supplement and complement the work of the classroom teachers and make a difference to children, teachers, and the entire community. Volunteers give students an opportunity to see parents and community members involved in school activities through a helping relationship. 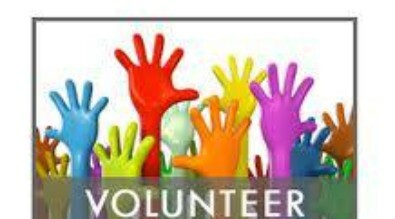 A volunteer is a person or group who has been approved by completing the district’s volunteer process and then provides goods and services of his/her own free will to Laurens District 55 schools. A volunteer receives no financial payment for such goods and services. A volunteer hour is one hour of service to the school district for which the person or group performing the service is not paid. A volunteer may serve in any manner approved by the school. 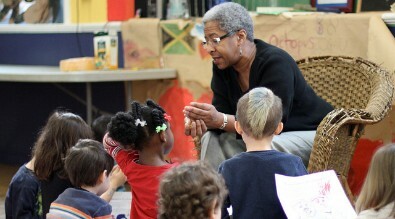 Our district program is headed by our volunteer specialist, Lynne Todd. All Title I schools have chosen volunteer contacts to handle the day-to-day volunteer responsibilities within the school. All volunteers must receive training from the district volunteer specialist or a school volunteer coordinator prior to serving. You may obtain an application from the school office. In accordance with law, Laurens School District 55 is not permitted to provide neither personal injury nor workers' compensation insurance coverage for volunteers. Should a volunteer become injured while serving, the district is not responsible. Any injury that happens while a volunteer is serving on or off campus must be immediately reported to a teacher or school administrator. 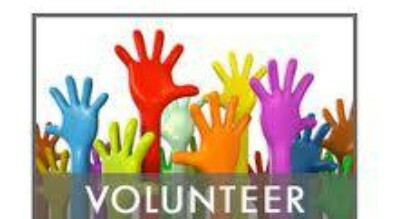 Any person who volunteers in a school must complete a Laurens County School District 55 Volunteer Application and a Background Authorization Form. All volunteers must receive training from the district volunteer specialist or a school volunteer coordinator prior to serving. The training will address bloodborne pathogens, sexual harassment, and procedures that volunteers are to follow in each school. The application and the Background Authorization Form are available in each school office. The capacities in which volunteers may assist are too numerous to list. However, the following examples illustrate how volunteers can assist in schools. · Fold/prepare newsletters, brochures, etc. Volunteers will supplement and enrich programs and services in Laurens District 55. All volunteers must receive training from the district volunteer specialist or a school volunteer coordinator prior to serving.